As Bill Gates rightly proclaimed, content is indeed the king. Every business wants content; every business needs content. 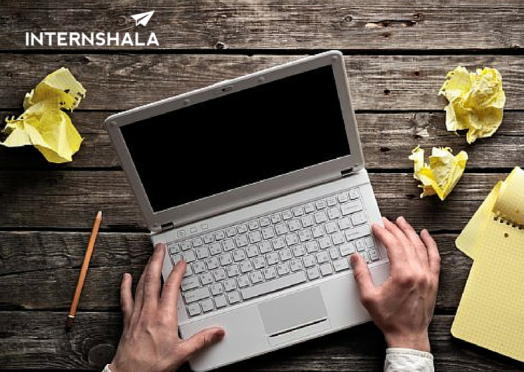 No wonder, Content writing is the second most popular internship category on Internshala with almost 820 internships posted every month. 1. 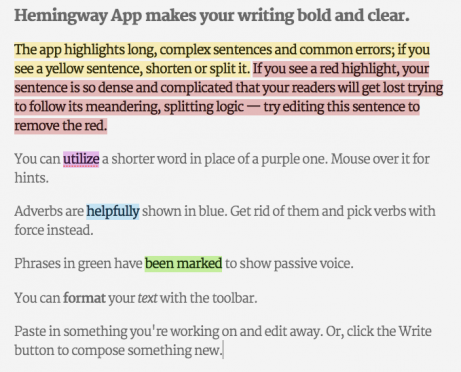 Hemingway App: If you want to improve the readability of your written content, this is the perfect tool for you. Paste your content into this free web app, and it’ll assess your writing and identify opportunities to make it simpler and concise. 2. Grammarly: It’s a beautifully designed web app that accurately highlights any grammatical errors in your writings. It also checks for plagiarism. The best part – you don’t even have to open its website; it works everywhere – when you type a mail, when you write on social media, or when you write on your CMS! 3. Canva: A picture is worth a thousand words and infographics and other visual content go a long way when it comes to capturing your audience’s attention. With Canva’s huge library of pre-made templates and graphics and the option to add your own imagery, you can effectively power up your communications, boost engagement, and spark up your social media presence. 4. Infogram: If you have always wanted to include those eye-catching and aesthetically appealing graphs and data in your infographics/images, Infogram is your go-to site. Apart from creating customizable illustrations for data visualization, it also supports the graphs created in Microsoft Excel. 5. Write or Die: Without a doubt, this is the most popular writing tool currently available on the web. This time-saving tool is designed to help you concentrate on your writing and combat procrastination and writer’s block. Once you stop typing in their text box, you start experiencing consequences such as gentle pop-up reminders, an unpleasant sound that persists until you start typing again, and the self-erasing text. 6. Word2CleanHTML: If you like creating your content in Microsoft Word, Evernote, or Google Drive instead of your content management system (CMS) like WordPress, then this simple tool is your savior. When you copy your content from Microsoft Office and directly paste it in your CMS, lots of little, weird formatting issues crop up in your HTML. This tool applies filters to fix all that additional formatting issues, resulting in a well-formatted HTML which you can directly paste into a web page CMS. 7. Evernote: Came across some snippets of information or links to some content which you might use in future? You never know when some fun turn of phrase, a little bit of dialog, or an exciting new idea might come to you! Evernote is your one-stop solution for managing everything related to your work across different platforms. Moreover, it constantly saves and synchronizes your work automatically, making it a safe place to write and store ideas. Now that you are aware of these tools, get acquainted with them and start producing beautiful content! If you can think of some tools which you extensively use and which should be a part of this list, we would love to hear; please comment below. You can also check out these cool content writing internships and start applying after registering here. We hope you liked the English with Internshala initiative and that it helped you in improving your command on the English language. To go back to the first article of the series, click on the previous button below. On behalf of the above tools i have found spinbot.com which is very flexible to use. The most useful tool for any writer will be a plagiarism checker at https://writingpeak.co.uk/plagiarism-checker that will detect plagiarism and show an original source of information. Also, some rewrite tools could be beneficial for them. Either way, there are plenty of great tools that can be of great assistance to any writer.